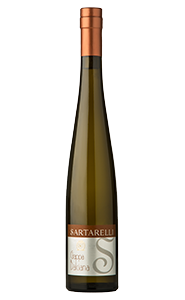 Our own vineyard in Contrada Balciana is the origin of this wine. It is characterised by a small yield per vinestock and differently timed hand-picking. The time of the harvest can change depending on the course of the year and usually takes place from the beginning of November till the middle of the same month. During the grape picking time, extreme care is necessary (small crates) so as not to split the grapes which have reached the correct level of ripeness. This completes the first stage after which the normal techniques (with the exclusive use of stainless steel tanks) are adopted in the winery taking the same care so as not to ruin the preceding work. The complexity of all these processes means that the yearly production is restricted to about 15.000 bottles. In particularly disadvantageous years, for example as in 1996, 2002 and 2005, this wine is not produced at all. After bottling, the wine continues to develop and refine achieving a taste of incomparable finesse. 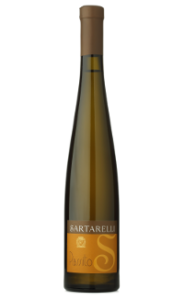 Balciana is available in (copyrighted) Sartarelli bottles of 750 ml and in borgognotta magnum bottles of 1,5 liter. The magnum bottle is packed in an elegant gift box. Some tips on how to combine Balciana with food, but please never forget to follow your own tastes and preferences! It is an amazing match with stock fish (dried cod) “all’anconetana” (typical local dish) or baked salt-cured cod and also very good with smoked fish and beccafico sardine. 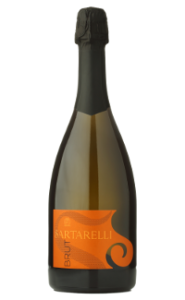 It combines very well with foie gras or paté de foie gras, roast goose, duck, turkey, it is also perfect with cheeses, especially mature ones. It is a wine just for pleasant conversations and for relaxing with. You fall in love with this wine by just looking at it: of a brilliant color, it is dressed in shining gold. 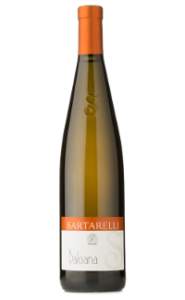 Nice intensity with an interesting nose of ripe and tropical fruits, sweet notes of honey, linden, spicy and citrus fruit notes, licorice root and almonds. 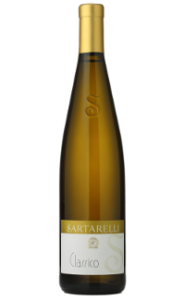 It is a very well-balanced wine in the mouth, a full-bodied wine with high alcohol content but at the same time still fresh and strongly sapid. Even a more unique wine because of its strongly persistent smell and taste with an iodate finish. 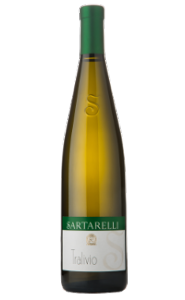 It is a simply fascinating and persuasively charming wine.